April 24, 2010. It was my sister’s 50th birthday. To celebrate her half-century, she invited her three siblings (and respective families) to an all-expenses-paid trip to Cabo San Lucas. Hooray! Their responses were ambivalent; I was determined to find out for myself. So one Presidents’ Day weekend, eight years later, my wife and I took advantage of the Southwest Companion Pass, allowing one of us to fly totally free on Southwest (aside from the government security fees) and flew to Cabo. We did so with no planning, no research, no destinations in mind and not much time. We wanted to just be “carefree” (Read: lazy ;-)). Here are my tips for the top things to do in Cabo San Lucas. TIP: You need to know that if you plan to drive around Cabo, someone at the rental car counter may encourage you to seek an even better transportation deal by going to a beachside hotel. Be aware that they may be sending you to a timeshare presentation. If you want that, cool. If not, insist on just getting your rental car! Man, sitting on an airplane for two-and-one-half hours can make this traveler hungry. So, when we arrived, our first stop after the hotel was to go to this restaurant. While recommended by my wife’s best friend Judy, a Cabo regular, Tacos Gardenias’ reputation as the street taco joint was corroborated by nearly all the locals with whom we chatted. Shrimp tacos are their thing, but you can also get carnitas, barbacoa and chicken. And, don’t forget that beer; Cabo is a hot desert climate so you need to, um, stay hydrated. Known locally as El Arco, this is the southernmost point of Baja California, where the Pacific becomes the Gulf of California. It’s this area’s iconic natural site (you’ve probably have seen pictures of this location, which you can also see above). It’s worth renting a glass-bottomed boat to this natural rock formation and taking a leisurely look at the sea lions and seabirds. OK, I’m not going to get many points for recommending ex-Van Halen frontman Sammy Hagar’s bar and nightclub. (Indeed, for some of you this pick may invalidate my recommendations before and after.) Still, it’s a bit of a guilty pleasure. My wife’s not a big fan of the Red Rocker, but she decided to humor me and join me for a visit. When we were there, we listened to a band, ordered a couple of expensive drinks and took in the scene for about an hour. Long enough. But the good news is that to get there, you’ll walk through the charming, small-town parts of Cabo. This makes going to Cabo Wabo worth it. With it’s warm waters, Cabo is a world-class fishing destination. It’s the site of Bisbee’s Los Cabos Tournament, which bills itself as the world’s richest fishing tournament. Timing is everything when it comes to whale watching. Living in Southern California, we note every January that it’s time to head to the coast and see if we can catch a glimpse of these leviathans as they head north toward their arctic feeding grounds. 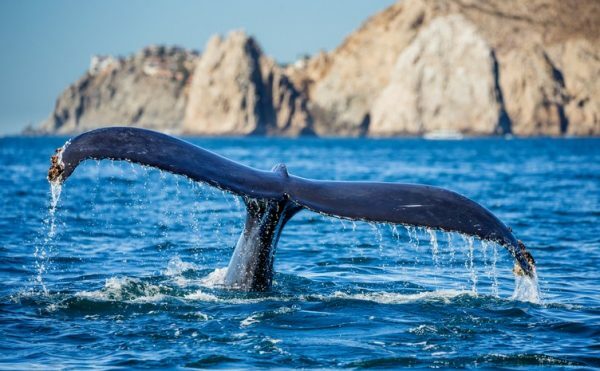 If we do, we’re spotting the same whales that passed by Cabo. 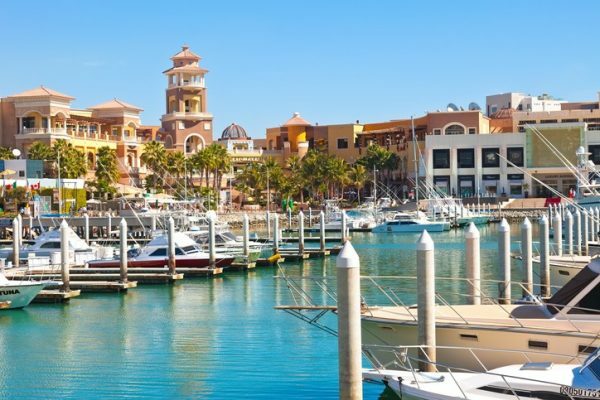 Indeed, the warm lagoons of Baja California are so important to the gray and blue whales that the relatively nearby town of Vizcaino is designated a UNESCO World Heritage site. Mid-March is about the last time you can see them migrate in case you’re planning your trip around these great mammals. While I am not that adventurous, if you are, then parasailing is a nice way to get to know Cabo from a bird’s-eye view. You can fly individually or with a friend or family member. Is there a better way to get an aerial view of Baja’s beaches, surf spots and mountains, while enjoying the thrill of a lifetime? Warm waters? Check. Lots of marine life? Check. Good visibility? Check. Snorkel gear? Check. The universe is in alignment, so take an underwater trip and see turtles, rays, coral and other aquatic life. 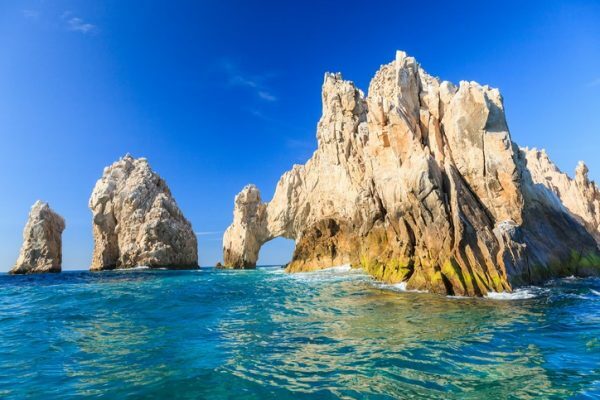 Cabo offers excursions to fit every pocket book,and your snorkeling can include zooming underwater with a motorized sea scooter, and paddle boarding and kayaking when you’re up top. Take a break from doing all that sea stuff and get back on the horse. 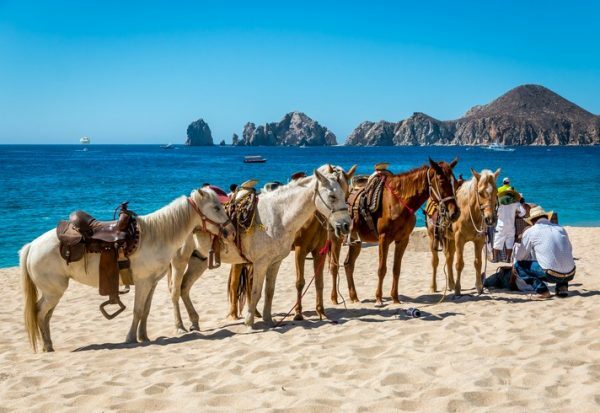 There are many companies that offer horseback riding — for all skill levels — along Cabo’s coast; some will even throw in an ATV. If all of the above has you exhausted, no problema. 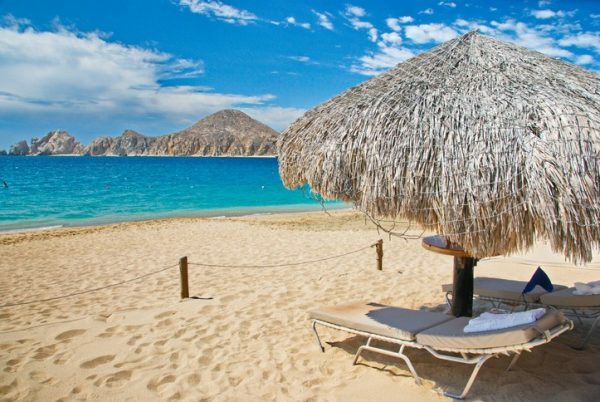 Settle into the sand at one of Cabo’s many fine beaches. Chileno, Medano, Palmilla, Cannery and Santa Maria beaches are all popular. They can be crowded and vendors may hit you up, but put that towel out, put on some SPF 50 sunblock, and get that beach umbrella positioned just right. After a hectic, whirlwind weekend (much of it, yes, listening to the timeshare pitch, too! ), my wife and I culminated our trip by strolling the marina. It’s not very big and we managed to walk its length in pretty short order. What is it about salty air, seagulls squawking and the wind that makes life’s problems seemingly dissipate? For that reason, take this walk and enjoy the scenery. We all need to stop and smell the … crustaceans(?) every once in a while. My wife’s bestfriend Judy recommends Solomon’s Landing, but since street vendors are a problem, don’t take the window seating. So, the verdict? I enjoyed going there. It’s an international destination that’s sufficiently tropical, exotic, yet familiar, and it whets the travel appetite. It’s compact enough that two nights was sufficient, and we left satisfied with the sightseeing. By the way, what attraction did my wife adamantly refuse to let me visit? Divorce Beach. Until next time, Buen viaje! Informative and entertaining! Thanks JC…you just won over a new weekly email subscriber, even though I’m not yet retired. Your article makes me relive my Cabo experience. We live Cabo and you described are piece of paradise perfectly!